Originally published by Wm. Le Baron, Jr. & Co., 1878. This is an 1973 reprint by Will County Bicentennial Commision; printed by Peterson Printing Craftsmen, 1973. Covers and inside pages are very nice and clean. Appears to be an unused copy. 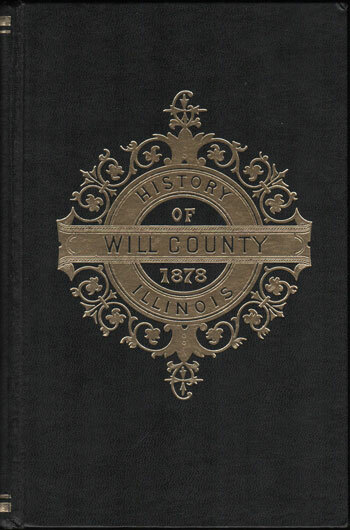 A detailed history of Will County, Illinois from its first settlement and continuing to 1878. Also includes many family biographies. Hard cover, 1001 pages, includes a detailed index.